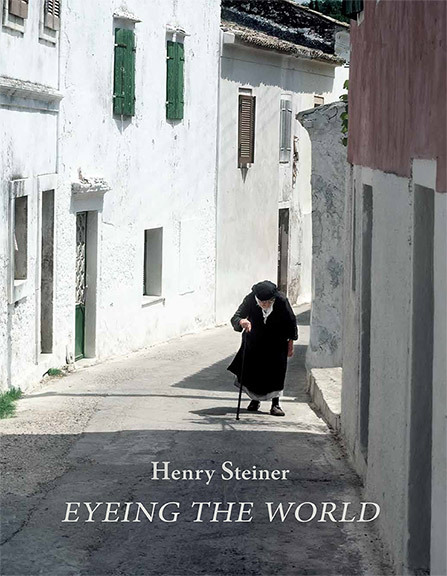 Henry Steiner’s recently published book, Eyeing the World, contains 83 of his photos and some accompanying text. Taken over a half century, the pictures vary greatly in subject and in character. They include distinctive landscapes of many moods, mysteries, beauties and configurations, as well as pictures of people solo or interacting with others while engaged in life's basic activities such as work, romance, reflection, parenting, prayer and politics. There is considerable overlap between its pictures and those in the Gallery of this website. The 132 pages are 13” x 10”. The book is of high quality in all respects, including paper, binding and reproduction of color. Its price is $39. The book is now available through Amazon. Pressing the button below will take you to the Amazon page where the book is offered.